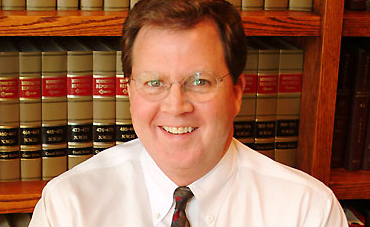 Partner, Robert M. McClay, A-V Preeminent* lawyer, received his undergraduate degree from the University of Wisconsin–Madison and his J.D. from Tulane University. He was admitted to the bar in Minnesota in 1977, U.S. District Court in the District of Minnesota in 1978, the Eighth Circuit in 1998 and the United States Supreme Court in 2012. Bob concentrates his practice in civil and commercial litigation, debtor and creditor work outs, commercial transactions, and corporate and partnership matters. He has tried to verdict numerous cases to successful verdicts in state and Federal courts, and has argued cases before the Minnesota Supreme Court and the Eighth Circuit. He is a member of the Ramsey County and Minnesota State Bar Associations. He is on the Board of Trustees for Episcopal Church Homes and is a past President of the Grand Avenue Business Association. Robert is a contributing author to Minnesota Lawyer. Bob is married to Carolyn, a lovely research scientist. They have two children and three grandchildren. His hobbies include golf, cooking and spending time with his grandchildren. *A-V Preeminent signifies that peers rate Bob at the highest level of professional excellence.